This is a place of wine pilgrimage. The birthplace of Syrah. 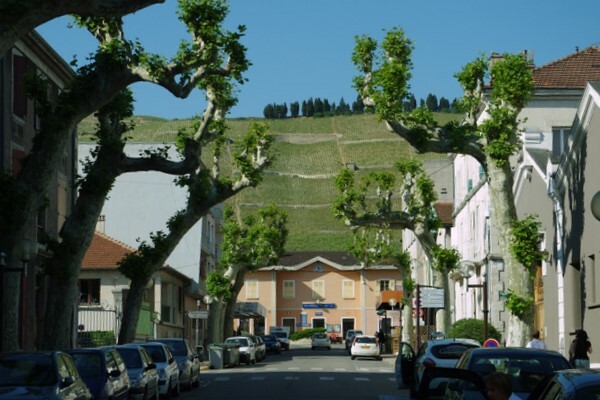 I can think of few appellations with such an emotional draw as the hill of Hermitage, which sits behind the town of Tain l’Hermitage in France’s northern Rhône region. 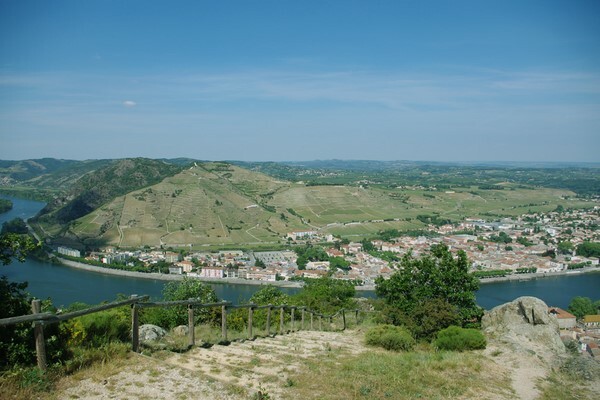 It’s a small appellation, with just 137 hectares of vines. The majority is planted with red grapes (exclusively Syrah), but there are some 30 hectares of white varieties (Marsanne, with a bit of Roussanne). The history is unclear. It's though that viticulture here dates back to Roman times, but there are no good records before the 17th century. But this is the birthplace of Syrah. It was an important region in the 19th century because wines from here were used to fortify Bordeaux. 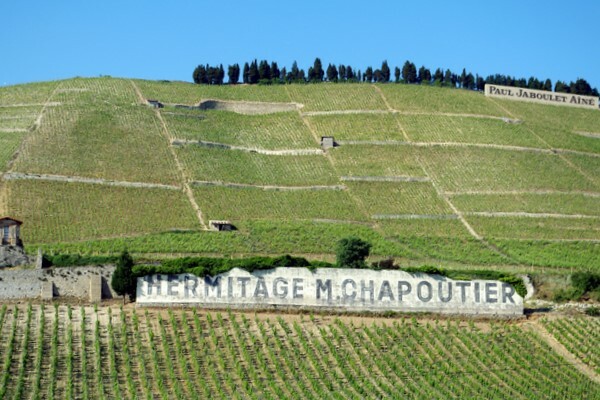 Indeed, Chateau Palmer has recently tried to recreate these Hermitagé wines from the past by blending some Hermitage in with one of their cuvées. 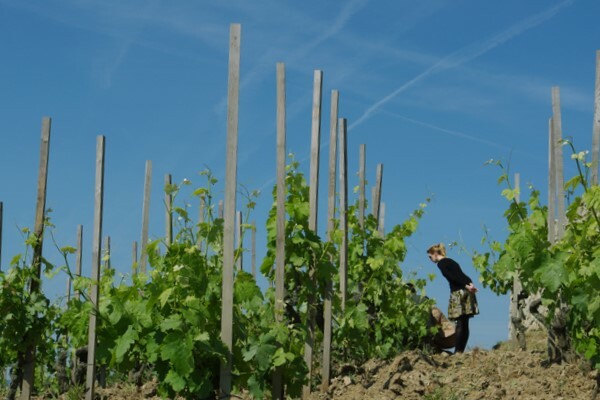 Since the 1980s the importance of this appellation has been recognized, and the wines now fetch high prices. 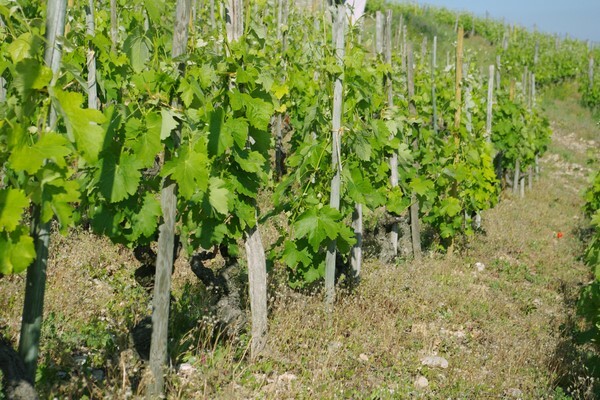 Chapoutier is the major land holder here, with 34 hectares of vines, which compares with Jaboulet (25 ha), the co-operative at Tain (21 hectares) and Chave (14 ha). 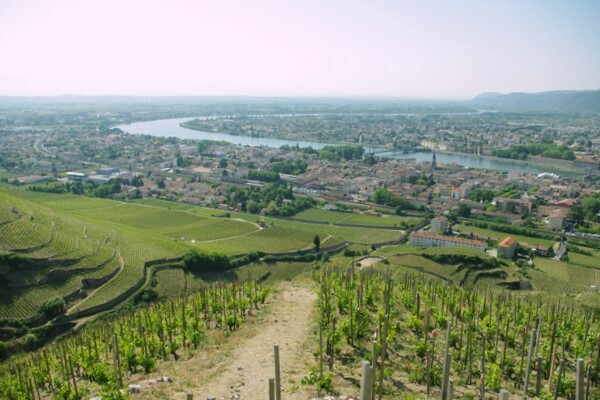 Unusually for the major northern Rhône appellations, Hermitage is on the east bank of the Rhône; the others are on the west. The hill is a granitic outcrop, an extension of the Massif Central. 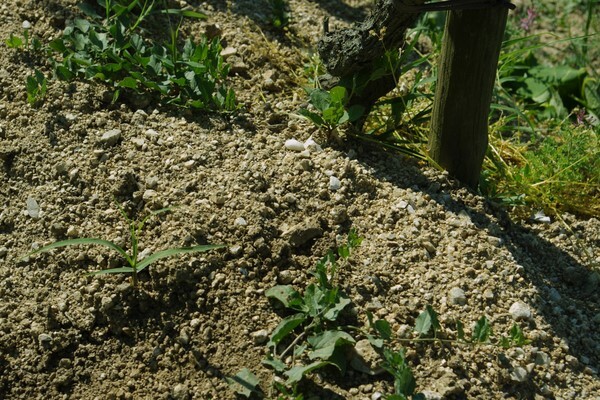 But while granite is the main soil type here, the micro-detail of the Hermitage soils is much more complicated. Towards the western end of the hill, the soils are much more granitic, but towards the east they are more alpine-influenced glacial deposits. The soils change over small distances, so even within the designated lieu dits, soil type is rarely uniform. Four of the lieu dits are particularly famous. First, we have Les Bessards. This is the most granitic of all parts of the hill, and produces very tannic wines that form the core of many great Hermitages. 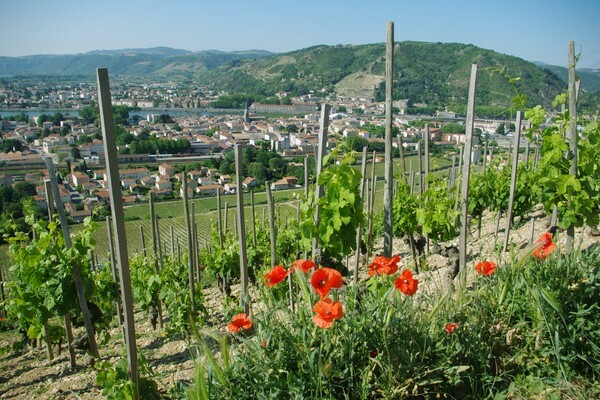 Most of it is planted to Syrah, and this is where Chapoutier’s Pavillon comes from. 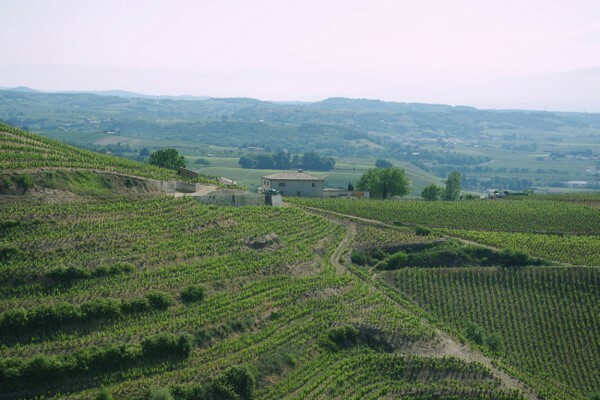 Le Méal produces richer, riper wines, in part because of its loose soils with lots of glacier stones. There’s an alluvial influence here. Looking down from L'Hermite to Les Bessards, and then to Les Greffieux and the town of Tain. Tournon is over the river. 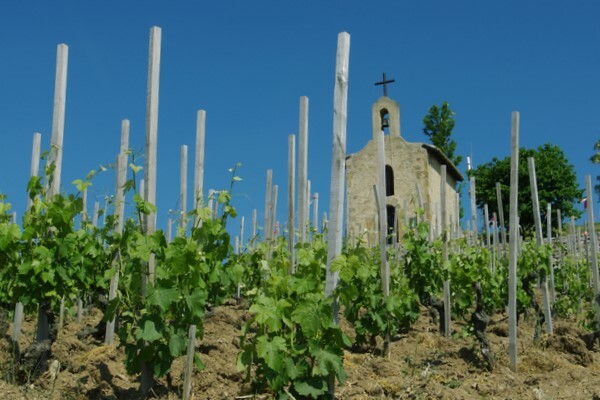 L’Hermite is the vineyard block that surrounds the famous Chapel of St Christopher (La Chapelle). This was built in 1864 on the site of a chapel that had been here from the 12th century. 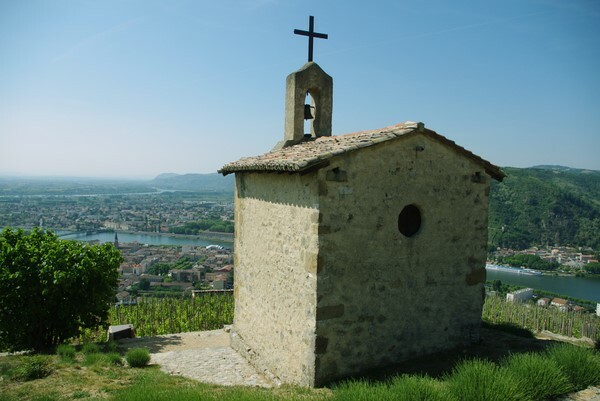 It faces south east, and has a commanding view of the Rhône and the neighbouring towns of Tournon and Tain l’Hermitage. 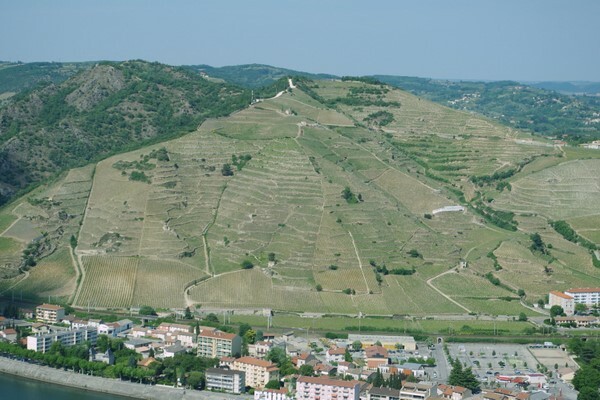 L’Hermite has a range of soil types with some granite, some loess and some alpine residues. Further down the slope is Les Greffieux, which also has some granite, as well as clay and limestone. Most of the vines here are Syrah. 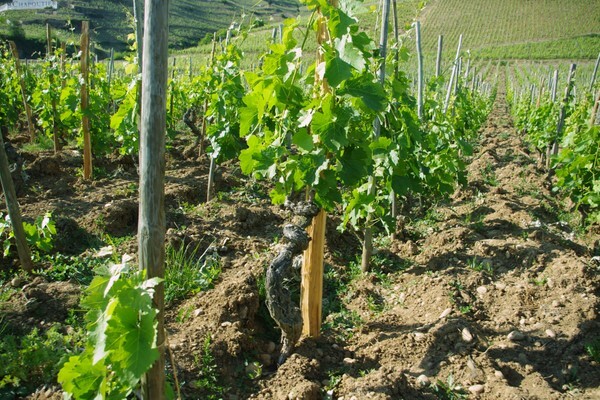 Viticulture in Hermitage is quite distinctive. Planting is very close: in the steeply sloped plots, it’s at a density of 1m x 1m (10 000 plants a hectare), but this can stretch to 1.3 m x 1 m on flatter plots. The vines are pruned as bush vines (gobelet) with three spurs, three buds per spur. 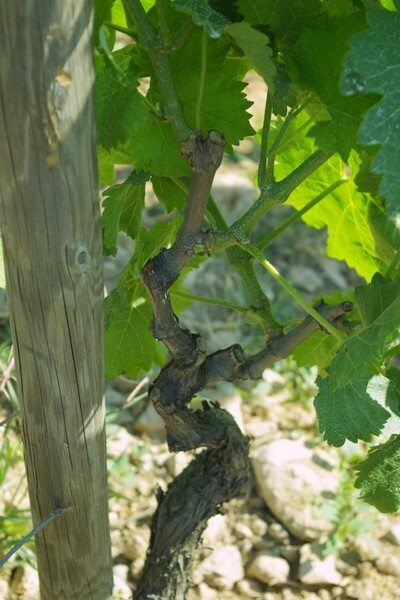 Just two of these buds are kept, and the vines are then trained on single stakes. This list is compiled from various sources and is not complete (do the maths! ), nor can its accuracy be guaranteed. I’ll attempt to build it further and correct it with time.